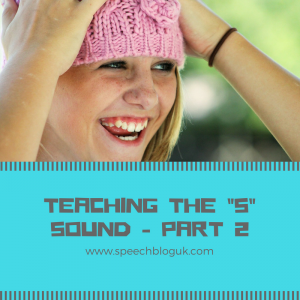 This is the fourth in our series of posts about teaching sounds. You can read the post about teaching the “k” sound here and the “f” sound here. A few weeks ago, Helen wrote about the “s” sound. As Helen explained, there are more common errors we hear with the “s” sound, but there are also a number of more unusual errors. So today, I am going to write about some of the other errors that can come with the “s” sound. If your child is making any of these errors, please seek out the advice of a speech and language therapist. 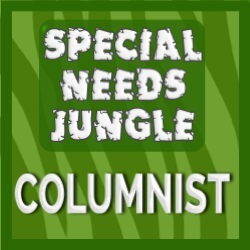 When should a child be able to say the “s” and “z” sounds? Just like the “f” and “v” sounds, “s” and “z” are known as fricatives. This means that they are produced with a long stream of air. As you have to co-ordinate your airstream as well as getting your jaw, tongue and lips in the correct place, it means that these sounds can be tricky and younger children often make errors with them. We would expect the “s” sound to be in place by around 4 1/2 and the “z” a little later by around 5 years old. There are several common errors that can be made with these sounds. Many younger children will use “t” or “d” in place of the “s”. This means that sea becomes tea or dea. This process is called stopping as the child takes the long sound (fricative) and stops it to a short one (plosive). For more information about when a child should say specific sounds, read this post. So now onto some of the other errors. An interdental production is where the child makes the ‘s’ sound with their tongue between their teeth, rather than behind it. This is sometimes called a lisp. It makes it sound more like a ‘th’ so sun becomes thun. This is a more common error on the ‘s’ sound. It sometimes corrects itself when the child gets their adult top teeth through. However, if it doesn’t, we need to teach the child to keep their tongue behind their teeth. I often ask the child to bite their teeth together first and then make the ‘s’. If they can achieve a good ‘s’ using this method, follow the advice in Helen’s post. 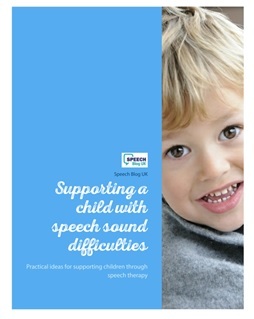 If this doesn’t help, you will need to see a speech and language therapist for more specific advice. When you make an ‘s’ sound, you create a groove down the middle of your tongue and the sides go up and meet your teeth. This channels the air down the centre of your tongue and creates a sharp ‘s’ sound. When a child makes the sound laterally, it means that the side of their tongue comes down and allows the air to escape. This make the ‘s’ sound slushy. As only small changes in tongue position are needed, the child has to have good concentration and comprehension skills to work on this. As such we often find that the child needs to be a little older before we work on it – school aged often works best. The child’s level of motivation also plays an important part. Sometimes therapy is more effective if you wait until the child is older. There are a number of techniques to improve this production, however you will need to see a speech and language therapist to find the best method for your child. This is a more unusual error. Some sounds e.g m, n are made when your soft palate (the soft bit at the back of the roof of your mouth) stays down. This means that the air comes from your lungs and is directed out through your nose. In contrast, for most of the sounds we make, the soft palate goes up and makes contact with the back of your throat directing the air out of your mouth. ‘s’ should be made with the air coming through your mouth. Occasionally a child will make the sound with the air coming out through their nose. As this is a more unusual error, if you are worried that your child is making the “s” sound or any other sound nasally, please seek out a referral to a speech and language therapist. This will need a full assessment and specific advice and therapy tailored for your child. Remember, to check out our “s” pack if you need some resources for working on the “s” sound! We also have packs for the “f” and “k”.